Mother load of worms coming your way! 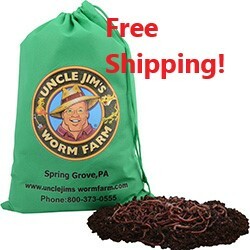 Need a TON of worms?! This is your order! When your food scraps pile up, don’t throw them out. 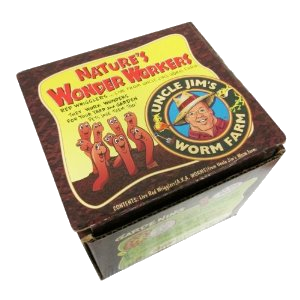 Get yourself some red wiggler red worms! They are only 1 -3 inches in length, and are about as thin as a pencil lead, but don’t call them little. When these guys group together, they become a voracious force, consuming anything in their path. Mountains of vegetable scraps wouldn’t stand a chance. The worms will break them one bite at a time. But don’t fear their powerful passion, encourage it. 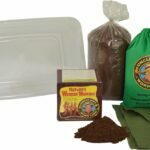 The food they consume gets digested, and transformed into some of the most nutritious material that lawns and gardens could grow in: worm castings! These worm castings are 7 times richer in phosphates, 5 times richer in nitrogen, and 11 times richer in potash than the average lawn soil. This valuable substance is a result of your trash! 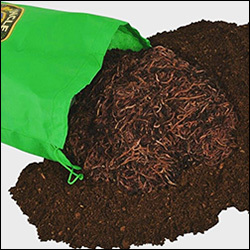 Don’t supply local trash heaps with your waste; give it to some red wiggler worm! By far, these guys are the best gardeners on the planet, and will only help out your lawn or garden or both! Decrease waste, decrease the need for earth-destroying chemical, and increase organic production all at the same time! These worms may be small, but provide a large service to saving the Earth! Excellent Trout Fishing Worm or for bait fish. Look into the European Night Crawlers for serious fishing! USPS 2-3 Day Priority Mail or UPS Ground (depending on location) FREE SHIPPING! No worries! We ship nationwide with USPS 2-3 Day priority mail, so your worms will not be in transit for very long. We ship out every Monday, Tuesday, and Friday, so you will receive them on a weekday. 99% of our orders reach their destination without fail. 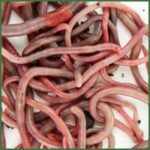 We ALWAYS guarantee a live delivery, so if there are any delays or other issues while in transit, we have you covered with a free reshipment of worms. 5. What do you mean by “mix”? Will I be receiving live worms? We cannot guarantee a 100% pure species of any type composting worms. 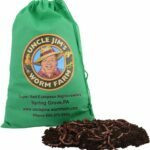 Our worms are harvested from worm beds that are decades old and may depending of time of year contain several different compost worm species. Not to worry! 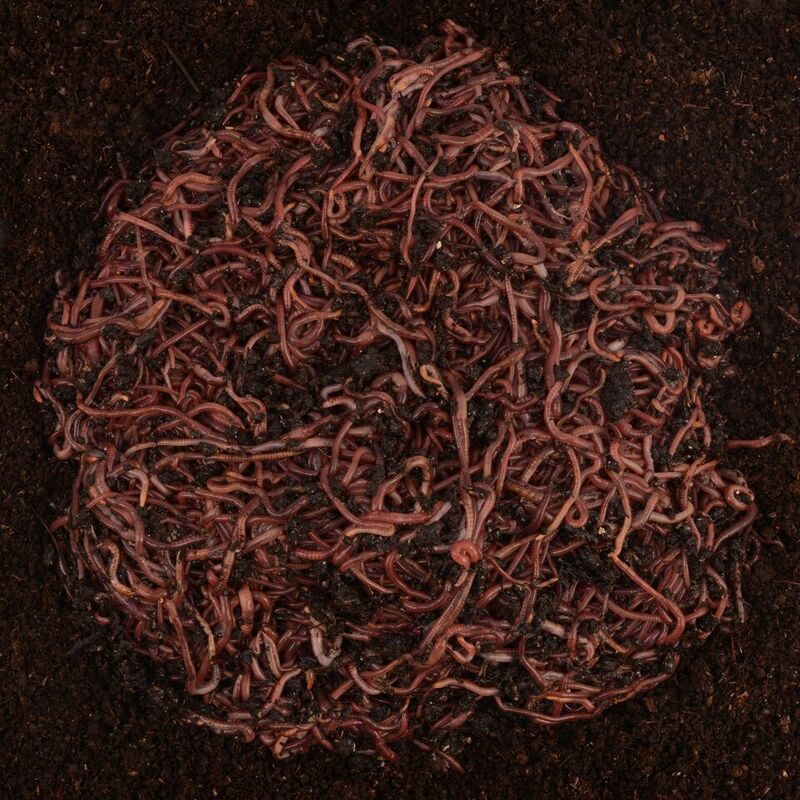 Bed run worms are superior because they work all layers of the compost not just the top few inches. Giving you a better compost faster. This also gives an advantage in that as conditions change certain species will multiply as conditions become unfavorable for another keeping you with a constantly healthy composter. Because they are bed run some orders may have more than one species than another but rest assured their populations will naturally adjust to the needs of your waste. Because of the adaptive nature of worms some varieties reproductive rates change with warmer weather, colder weather, moisture levels, soil content etc. 6. Are there any shipping restrictions? 7. Why should I order from you over the other guys? Every thing went very well, from ordering the worms to recieving then exactly when they said I would receive them. The worms seem very vigorous and are doing very well. Many thanks . The worms came quickly and looked great when they arrived. They have spread throughout my vermicomposting bin and seem to have adjusted well. Thanks! 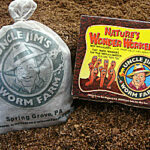 We lost about half of our worms during the delivery and when we contacted Uncle Jim’s, they immediately resent them. Very happy with the turn out. great experience. very professional. 5 Stars!!! !